$1.79 to $53.99 & FREE Shipping on orders over $59 $35. 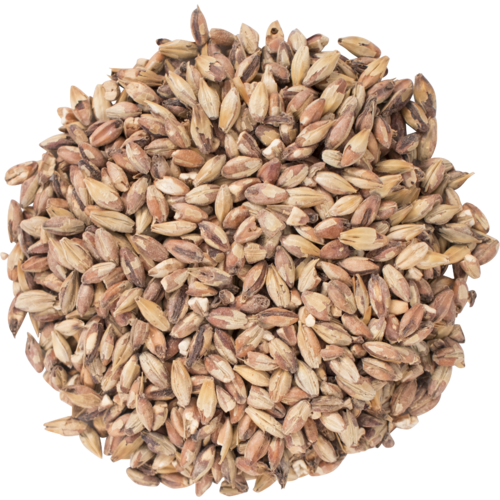 50° L Briess Malting - Special Roast malt is know for its intense biscuit like flavors that have been described as tasting like bran flakes and Sourdough bread. Similar to Victory Malt, which color is 28 Lovibund, Special Roast is even more intense and with a darker color that registers at 40 degrees on the Lovibund scale. Use it at around 10% of your recipe to get the signature Sourdough flavor that many brewers appreciate in ambers, browns, porters and stouts. Use a smaller percentage to add the bran/biscuit complexity to IPA's, Marzen/Octoberfests, or any other style where you want to add some unique flavors and layered depth. 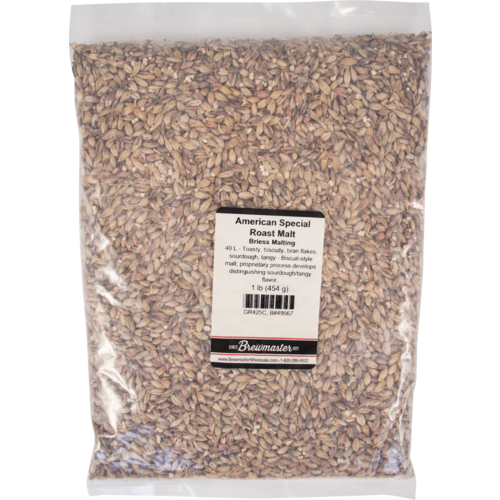 This malt is drum roasted and is included is the category of malts called Biscuit Malts. To use in a Porter. adds a bit more sweetness than I expected, but overall great and mild toast/roast quality. I like this one WAY better than english brown malt for my brown ales. A half pound will lend plenty of biscuit, toasty, and bready flavors to your beer. Also has an interesting tangy character to it. Plays well with other darker malts.